Tikkurila will take part in the national UPEA18 Street Art Festival, which will bring unique public artworks to twelve Finnish cities in September. With Tikkurila’s durable surface treatment products, over fifteen large-scale mural artworks will be created to gladden the hearts of Finns in their everyday environments. 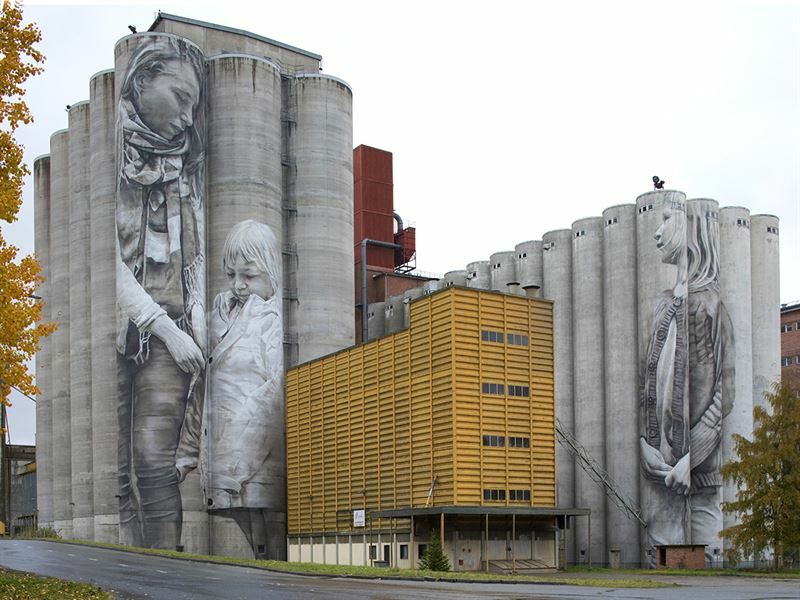 This year, the following cities are taking part in the largest public space art event in Finland, the UPEA Street Art Festival: Espoo, Helsinki, Hyvinkää, Iisalmi, Joensuu, Jyväskylä, Kemi, Kotka, Oulu, Salo, Seinäjoki and Tampere. The event, which is now being organized for the third time, features internationally recognized artists who will pick their own themes for their impressive works of art. The murals will be painted with Tikkurila façade products, such as Kivisil, Yki and Finngard, and the colors chosen from the extensive Facade 760 collection. “Tikkurila has been an important partner for us since the first event. Tikkurila’s high-quality coatings and colors that suit urban environments play a key role in the success of the event. Tikkurila’s technical capacity and support have been invaluable to us from one year to the other,” says Jorgos Fanaris, Artistic Director of the festival. “Participating in UPEA Street Art Festival is part of the Sustainable Beauty program — Tikkurila’s social responsibility program. Urban art is an amazing way of brightening our cities and thereby enhancing citizens’ comfort in urban areas. With paints and colors, Tikkurila creates beauty in different environments and contributes to the well-being of people,” says Päivi Kivilä, Senior Manager in Communications and Sustainability at Tikkurila. Since 2012, Tikkurila has taken part in some 200 Sustainable Beauty projects in the 12 countries in which it operates. The UPEA18 Street Art Festival is organized by the Upeart collective.